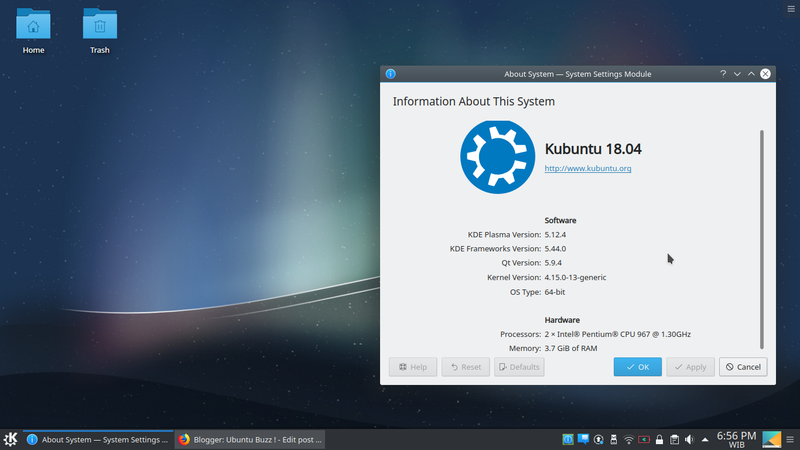 Kubuntu 18.04 Beta 2 is here! It arrived today at Friday, April 6, 2018 in an announcement from Steve Langasek on Ubuntu Announce mailing list. Here's the summary after I installed it freshly on my laptop: the memory usage is only about 370MiB when idle, new dark themes, new wallpaper, new applications (Firefox 59, LibreOffice 6.0, KDE Applications 17.12.3), Muon is here again along with Plasma Discover (both are software center). This will be a good news for every Kubuntu user who is waiting for the latest LTS version of Kubuntu. 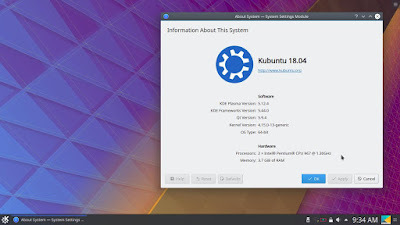 Kubuntu 18.04 uses Linux kernel 4.15, KDE Plasma 5.12 LTS, Qt 5.9.4, KDE Frameworks 5.44, KDE Applications 17.12.3, systemd 237, SDDM 0.17, and GNU system (glibc 2.27, gdb 8.1, tar 1.29, gzip 1.6, coreutils 8.28, etc.). 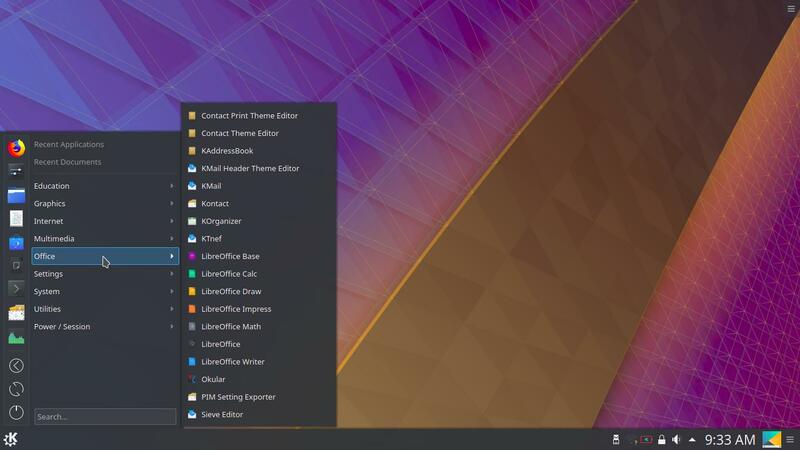 Different to Ubuntu original, the good news is, Kubuntu 18.04 still provides 32 bit version so you could still run your favorite system on 32 bit computers. 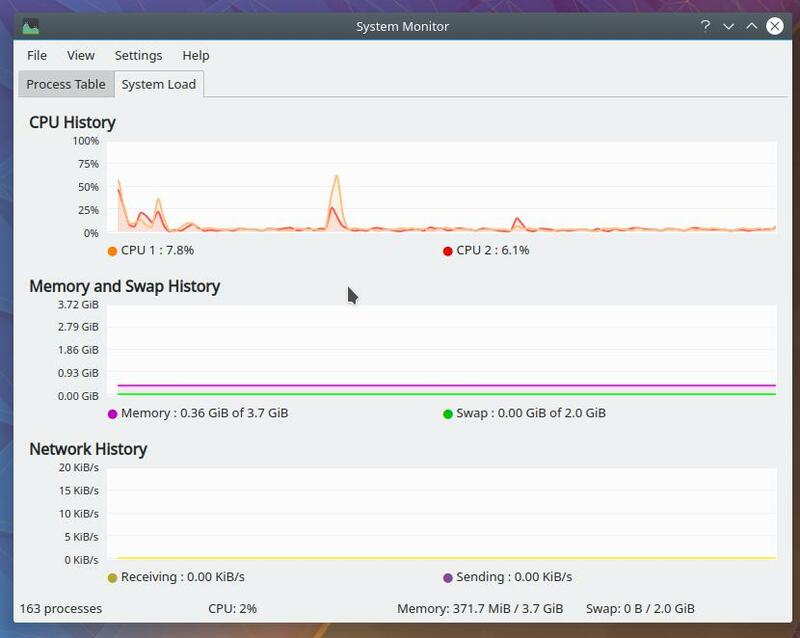 Kubuntu 18.04 on beta 2 version, after freshly installed on a laptop, right after first login, takes around 370MiB of RAM when idle. This is amazing. How can we find another full-featured desktop OS with beautiful interface with such low idle RAM usage at this 2018? To give you some comparison, see Ubuntu 17.10 GNOME, it takes around 1.3GiB at idle time after a fresh install. When I enter the desktop of Kubuntu 18.04 at the first time, I find that the default theme is dark, and not white/silver anymore. And there is a new wallpaper shipped but it's not default on beta 2. 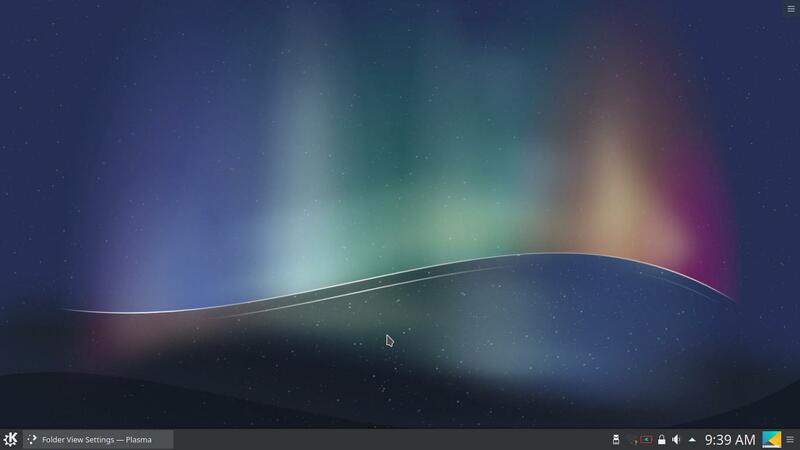 This is the new wallpaper on Kubuntu 18.04. However, when I first logged in, the default wallpaper is still the KDE Plasma 5.11 original wallpaper. We'll wait the final release to put the new one as the default. 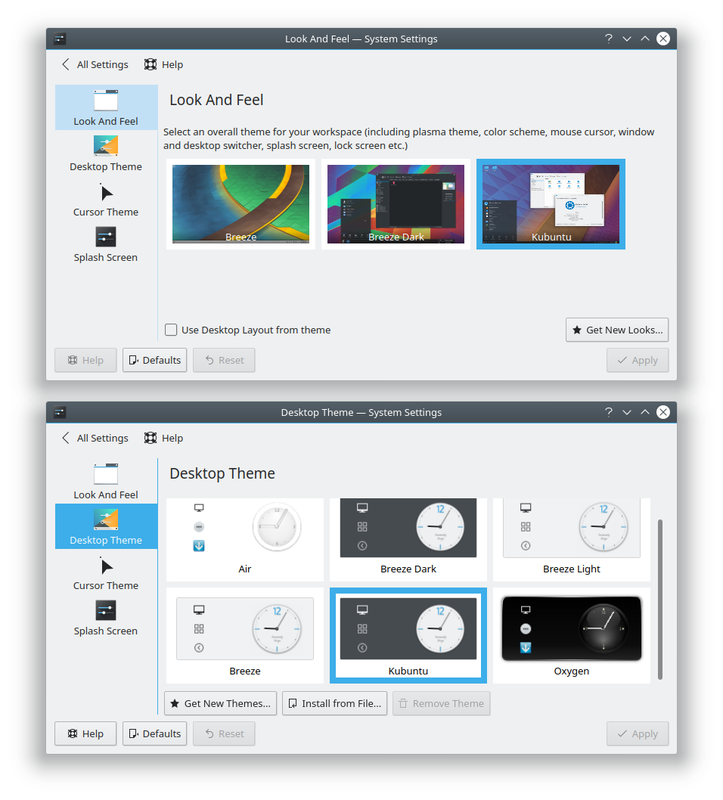 I find out at System Settings > Workspace Behavior > both Look and Feel and Desktop Theme, a new theme named Kubuntu for each with black/dark dominated color. 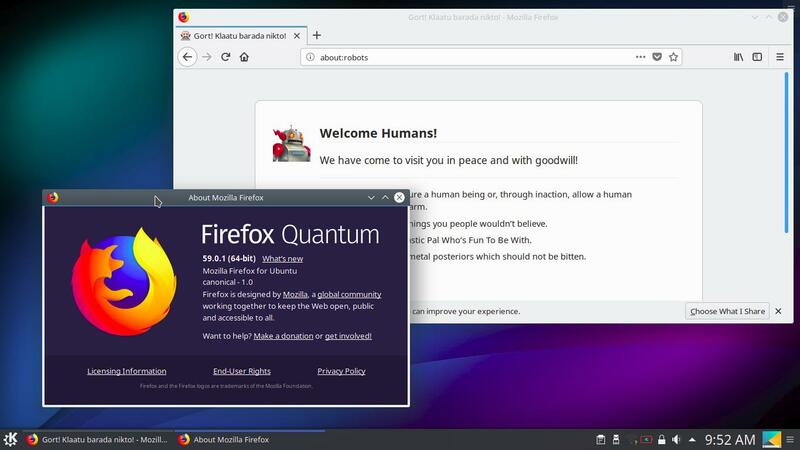 Kubuntu 18.04 beta 2 includes Firefox 59 "Quantum", the latest one, and LibreOffice 6.0, the latest one. And on the Release Notes of beta 2, they say that Kubuntu brings up the latest KDE Applications 17.12.3 like Kontact (personal information manager), KMail (email client), KOrganizer (calendar), Ark (archive manager), etc. plus many of them available in the repository. 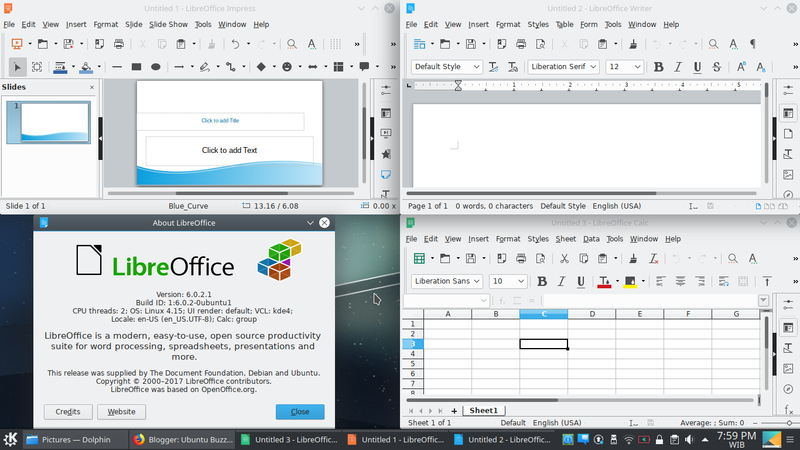 The LibreOffice 6.0 suite on Kubuntu 18.04 beta 2 with word processor, spreadsheed, and presentation showing new documents. Kubuntu 18.04 on this final beta shows very promising features. We are really waiting for the final release of Kubuntu 18.04 LTS. Thank you for all Kubuntu developers!